Digimaksas | Kab.RMX Fast Charging RC-007i4 Iphone4 1m. Kab.RMX Fast Charging RC-007i4 Iphone4 1m. 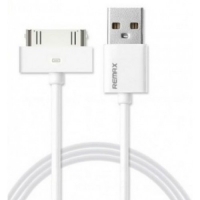 Kabelis Remax Fast Charging USB -> Apple Iphone 4 1m.